If an army runs on fuel and ammunition, its soldiers definitely run on food. In World War Two, the Soviet Army developed a simple field kitchen unit that could be towed behind a Jeep, Gaz, or truck that could feed its soldiers when they are not busy purging the Motherland from its Nazi invaders. The KP-42 was a simple design that could be mass-produced to support the numerous combat and combat support units across the western front. 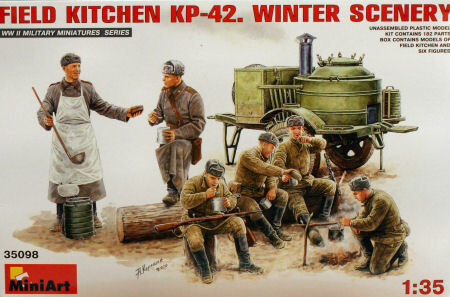 A few months ago, we looked at MiniArt's first release of the KP-42 Field Kitchen kit. 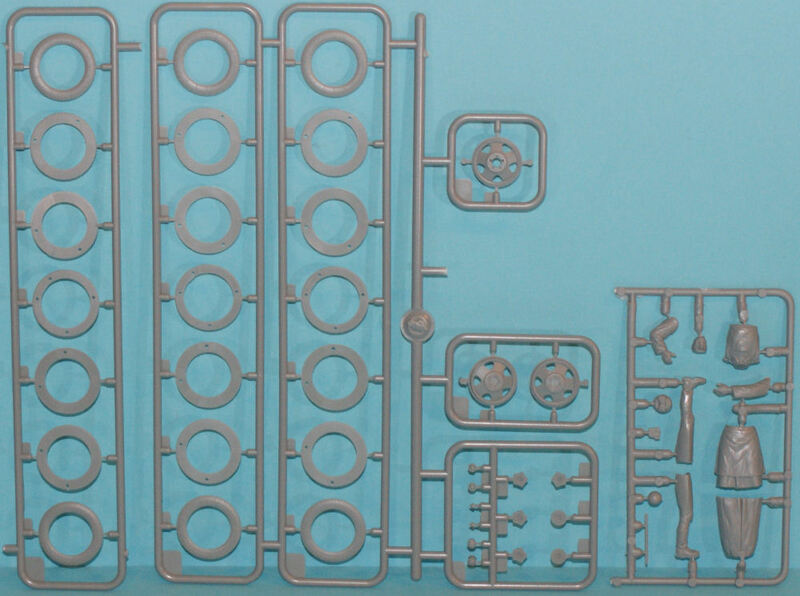 This kit is the second KP-42 field kitchen release from MiniArt which contains the two-sprue kitchen kit and two sprues with six figures. 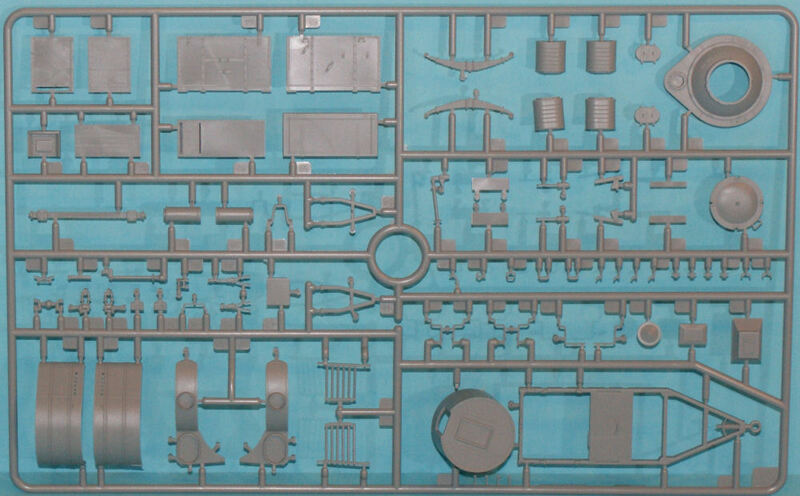 Molded in light gray styrene, this kit is presented on four sprue trees. The detailing is nicely done and offers the AMS modeler an opportunity to have even more fun with the addition of other figures and items available from other kits or aftermarket sources to bring this scene to life. The trailer unit is a standard military frame which looks to be based on a US lend-lease utility trailer design and the box cargo bed was replaced with this combination cooking pot/heating unit and a stowage box. The designers were kind enough to provide a working platform for the cook to access the cooking pot. Two food jugs are also provided and mounted to the trailer when not in use. The wheels are an interesting affair - three layers make up each tire with the wheel hub attaching to the center later. At least painting these wheels/hubs will be easy. Six figures are included in this release and these figures are attired for the Russian cold climate. One standing figure is a cook standing and ladling food to feed some soldiers. A second standing figure is a typical squad leader. The remaining four figures are seated whilst eating their meal. This is a nice kit that would create a nice vignette out of the box, but combined with some other items left over from other kits or some aftermarket items, you could really tell a nice story with this kit. Thanks to HobbyTerra for the review sample.